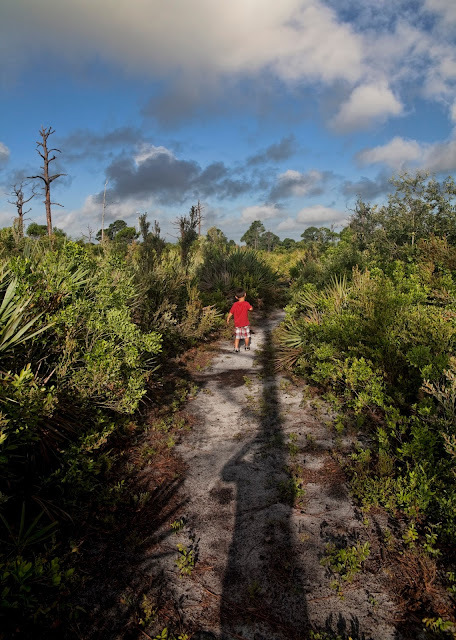 As you travel the trails of Helen and Alan Cruikshank Sanctuary, the songs of various birds travel with you every step of the way. 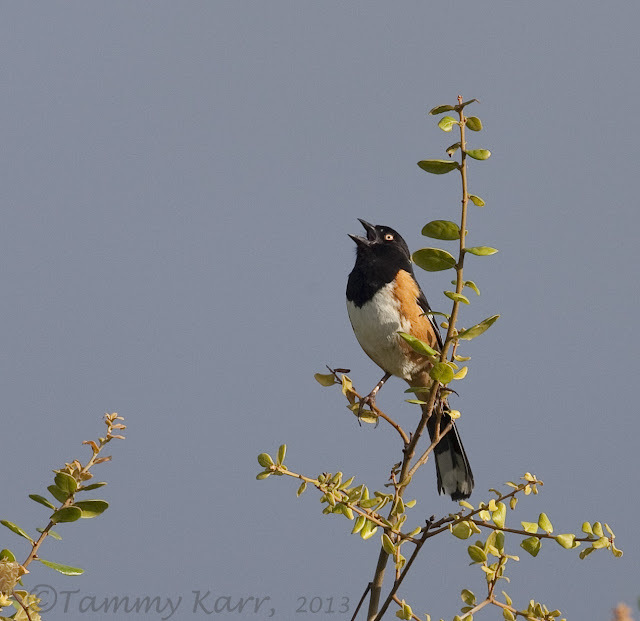 Mockingbirds, Scrub Jays, and Eastern Towhees are tops on the playlist. This is a popular community tree where numerous species congregate. 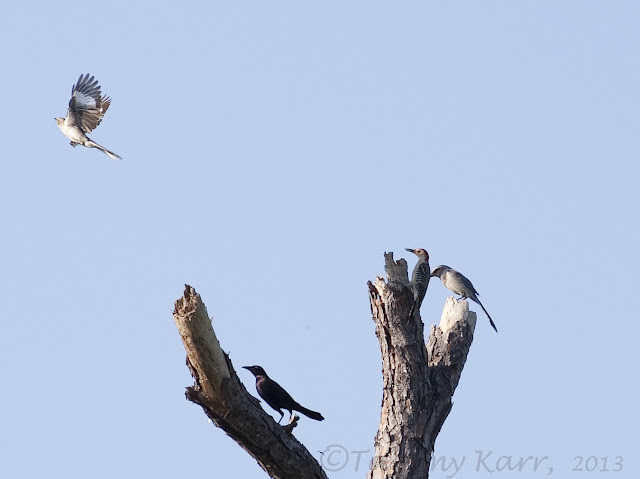 The Mocker decided it was a little much when the Grackle joined its morning meeting with the Red-bellied WP and Scrub Jay. This Gopher Tortoise was one of the several non feathered species we encountered. 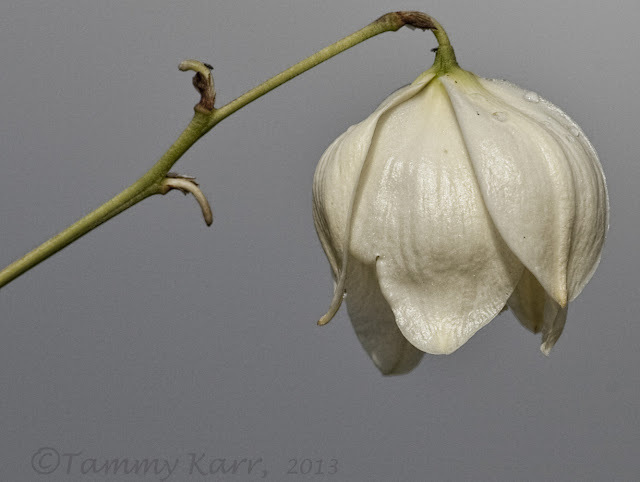 I came across a branch loaded with these downward facing blossoms. 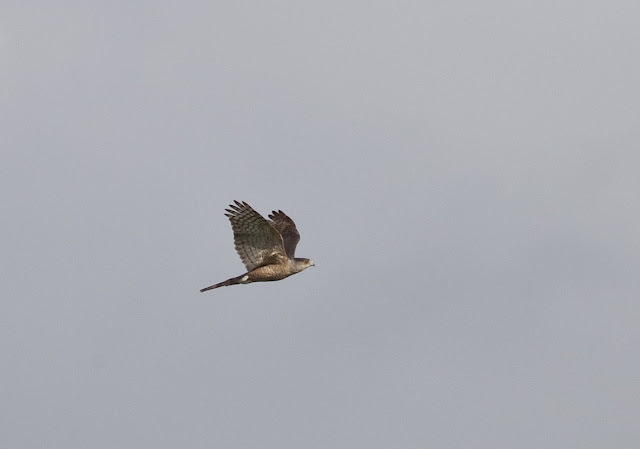 This was one of the raptors we saw...and I'm pretty certain it was a Sharp-shinned Hawk; it seemed too small to be a Cooper's Hawk. Hopefully it will stay away from my favorite youngsters! We also saw a Great Horned Owl and an Osprey. Speaking of youngsters...the young Jays were getting along better this week. The last time I saw these two they were knocking each other around over an acorn one had found. 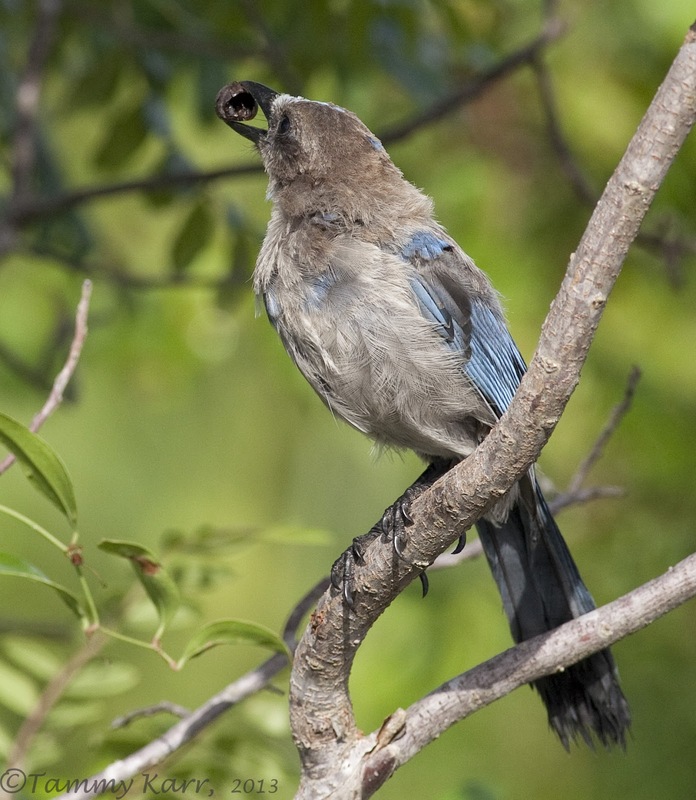 This time the Jay offered its mostly hollowed out acorn to the other young Jay. I've read a lot about Florida Scrub Jays and their unique, cooperative breeding habits. 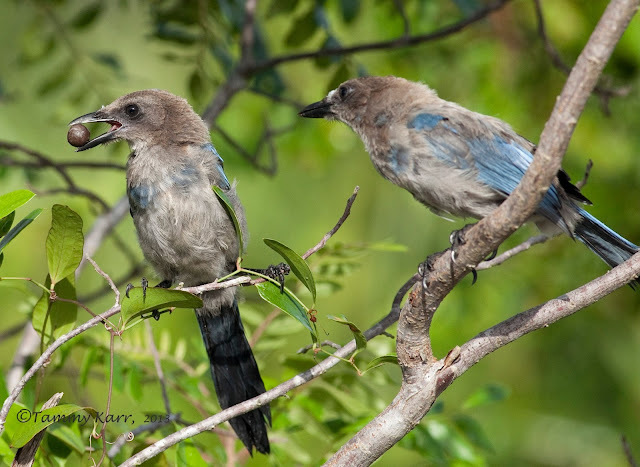 Since the young/juvenile Jays are fed and protected by not only their parents but other young, non-breeding Jays, they are considered to be "cooperative breeders". I've seen these two young Jays regularly each visit and I'm pretty certain they are very close in age, so I thought it was interesting that they were feeding one another. We also visited River Lakes Conservation Area this week. 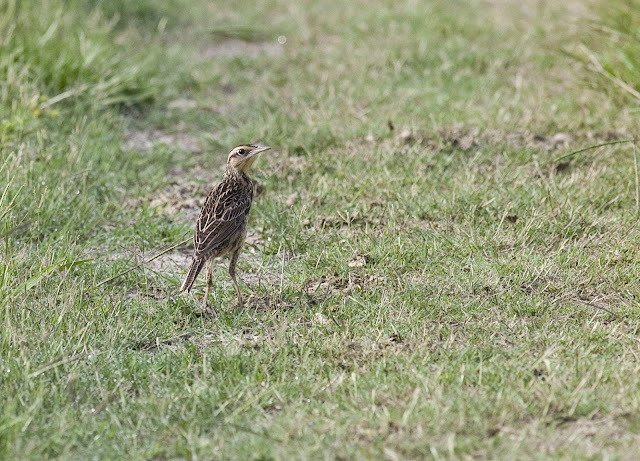 Its a slow time for birds in the area....we did see (and hear) lots of Meadowlarks, including this scrawny juvenile that was foraging on the trail. We also saw adult adult Killdeer with a tiny chick, several Sandhill Cranes, a few waders along the canal, and 2 Swallow-tailed Kites circling the area. My son now likes to search for bugs, with caterpillars being his favorite. He spotted this tiny ladybug making its way up and down a branch. 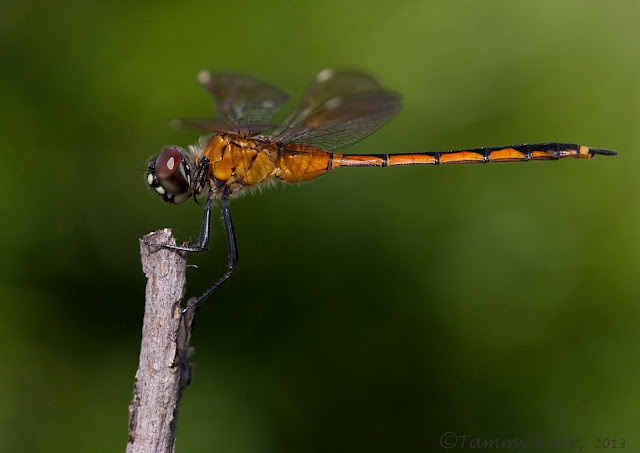 I was looking at the different species of dragonflies that were occupying the upper limbs. 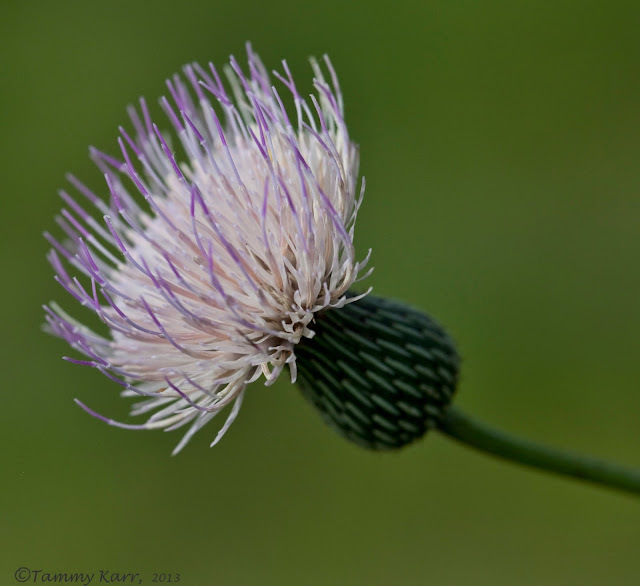 These Nuttall's Thistles are blooming all along the trail! Lovely serie with some great bird shoots and stunning macro photos. Great to see the varied birdlife you have around you and as usual nice pictures. What a great outing, wonderful variety of birds. Your photos are awesome. Happy birding and have a great weekend! beautiful macro shots! really cool about the 'cooperative' scrub jays. and that was quite the mix of birds on that one perching area! I have to get over there to see that scrub jay. It's still on my list. I wasn't sure if I should wait until winter but you saw a lot of great stuff there now. The detail in ladybug is amazing! Beautiful shot! All amazing shots! 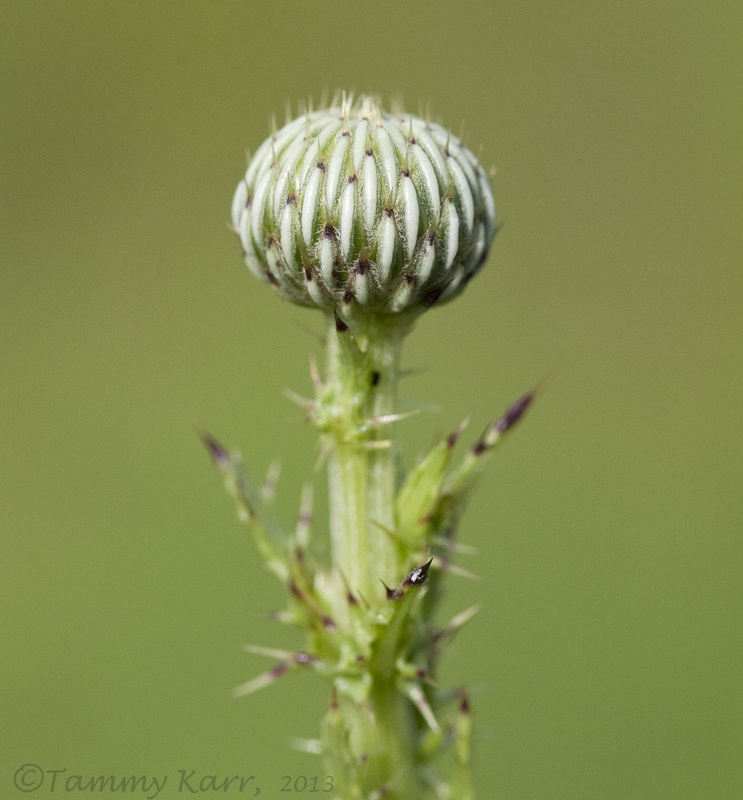 Really liked the macro shots of the flowers and bugs. Brilliant images, you sure know where it is found, well done Tammy. Hi Tammy, once again your beautiful captures filled my eyes with delight and heart with joy. And of course I always love seeing how much L'il Birder/Bug Seeker has grown. Really great shots Tammy! 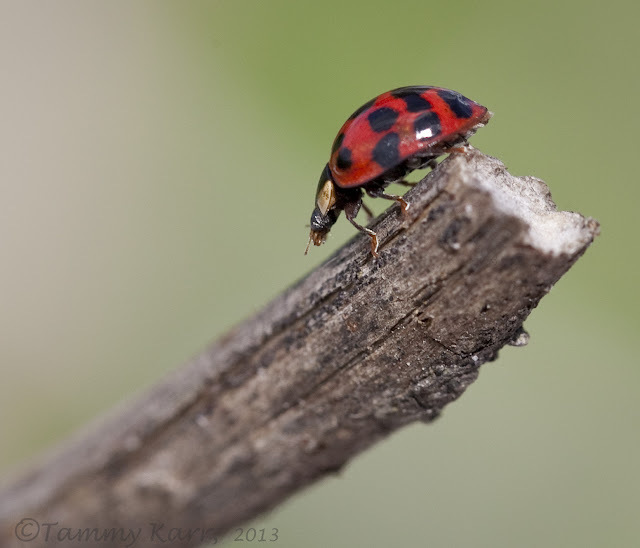 I like the macros on the bugs and flowers the best. Great job! It was nice to see that you incorporated yourself into the photo with your son in the way of a shadow. Great shots Tammy. Love the bug shots, particularly the Dragonfly. Bet you have some stunners out there. Those Jays are just so sweet! I can sit and watch birds all day. Nature just has a way in soothing the soul doesn't it? Love the first photo too - cute! 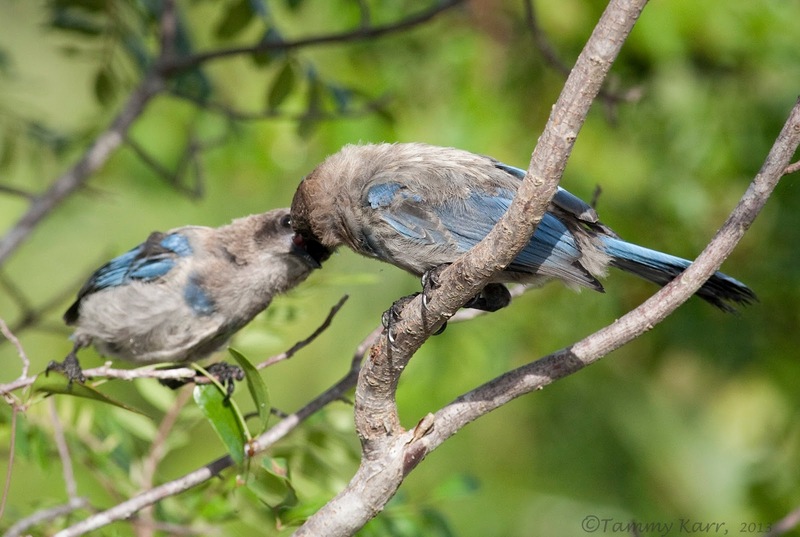 Excellent post Tammy, you even got the Jay feeding its young. I love the flowers and the fauna variety too. Nice variety of birds.You saw two I have'nt the scrub jay and medowlark, might have to venture still furtur north. Good pics. Such a delight to view your photographs and read about your adventure. Exceptional images, as always! I especially enjoyed reading about the Scrub Jays. Very interesting! 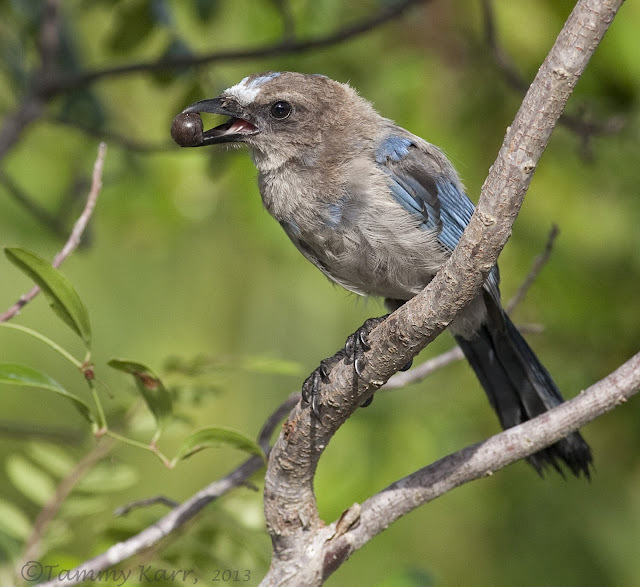 Every time, I visit Florida I hope to spot a Scrub Jay, but so far they have eluded me. At least I can admire your fabulous photographs of these very cool birds. I see you are a master with the macro lens, as well. Super post, Tammy! The jays are great. Love their colors. What an interesting post, Tammy! Your observations of the young Blue jays are stunning and fascinating! Your dragonfly is a real beauty, that is one insect I have a passion for! 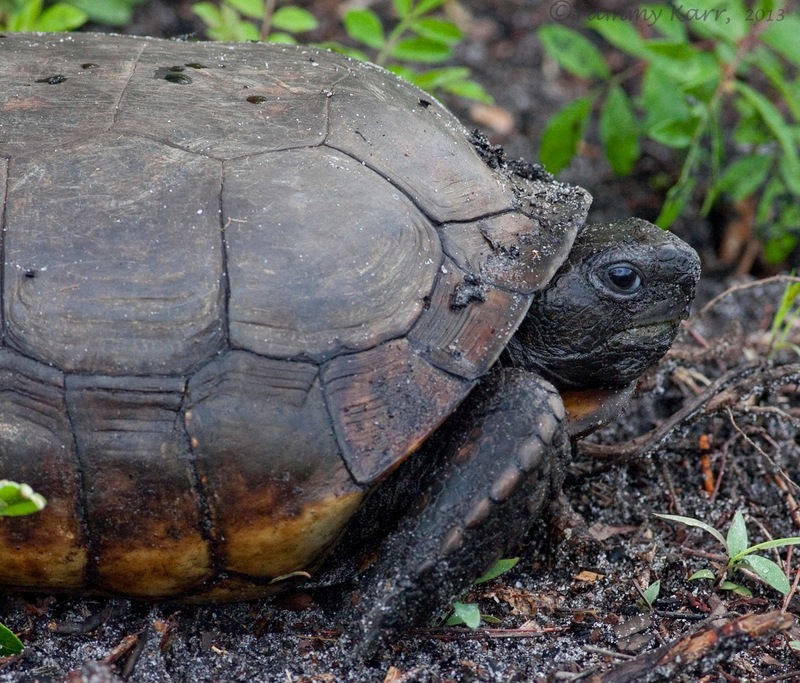 This one is nothing like those found in Europe! Preciosas fotos Tammy. Los macros son impresionantes. I feel like I went on the walk with you! Such a delightful walk!! 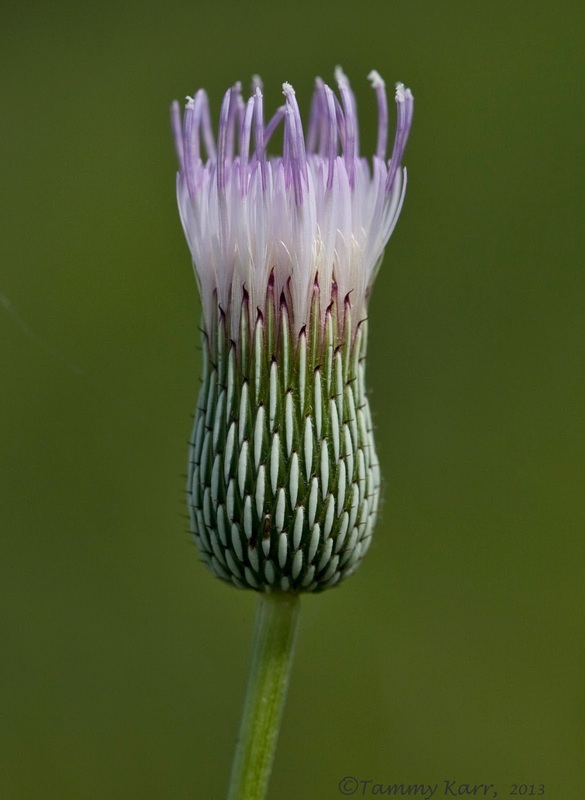 The pictures are all great, but those thistle pictures are just stunning!